Two images spotted on the Chinese social media website Weibo show a smartphone with a slim-bezel design, QWERTY keyboard, a front camera, and light sensors. The reports claim that the images are that of the BlackBerry Mercury, the final BlackBerry device rumored to arrive since June. Besides the physical keyboard, the smartphone also sports capacitive buttons below the display. BlackBerry Mercury was earlier leaked on the benchmarking site Geekbench. According to the leaks, this BlackBerry device will come with a 4.5-inch full-HD display and will be powered by a 2GHz Octa-core Qualcomm processor paired with 3GB of RAM. It is said to run on Android 7.0 Nougat operating system. The phone is expected to have an inbuilt storage of 32GB. It may also have an 18MP primary camera and an 8MP secondary camera in the front. A 3400mAh battery is expected to charge the device. BlackBerry earlier launched DTEK 50 and DTEK 60 smartphones, but both did not feature a physical keyboard. 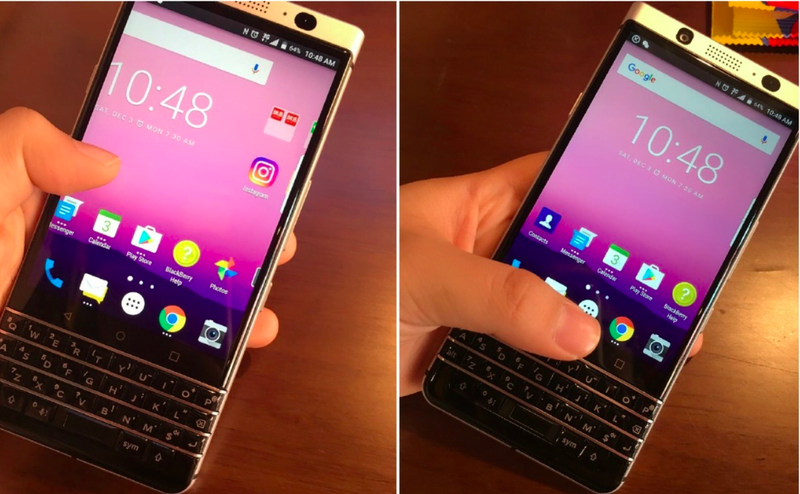 In November, BlackBerry CEO John Chen said that the company is planning to bring out a device with a physical keyboard and BlackBerry Mercury seems to be the one. “We have one keyboard phone I promised people. It is coming,” Chen said in an interview with Bloomberg. BlackBerry officially stopped making smartphones and has turned its focus to software. In the interview, Chen said that by September, BlackBerry is completely ceasing the production of smartphones. Instead, it targets to license the BlackBerry brand to outside companies. Both the recently launched DTEK 50 and DTEK 60 smartphones were relabeled Alcatel smartphones running Android operating system with BlackBerry software backed in. If to recap, BlackBerry DTEK 50 featured a 5.2-inch Full-HD display and is powered by an Octa-core Snapdragon 617 processor. The phone also spotted 3GB RAM and 16GB of internal memory expandable up to 2TB. On the camera front, DTEK 50 comes with a 13MP auto-focus rear shooter with PDAF and an 8MP front camera. BlackBerry DTEK 60, on the other hand, boasts of a 5.5-inch Quad HD display. It is powered by a Snapdragon 820 processor paired with 4GB RAM. There is a 32GB storage for the phone, expandable to 256GB. It features a 21MP rear camera and an 8MP front shooter. The phone is backed by a 3,000 mAh battery as well.